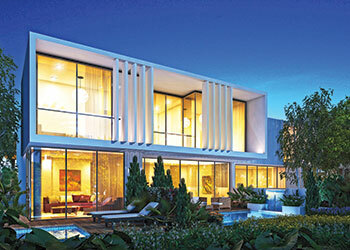 Damac Properties has launched the sales of its high-end Kensington and Beverly Hills boutique villas aimed at redefining sophistication in the heart of Dubai’s latest golf communities. Located at Akoya Oxygen, the Kensington Boutique Villas, which are inspired by the affluent London district, offers a sophisticated way of life for aficionados of glamour and luxury living, said Damac. Meanwhile, inspired by the quintessential Beverly Hills lifestyle, Beverly Hills boutique villas bring the finest elements of the iconic destination to Dubai at Akoya by Damac. hese serviced and furnished villas, set to be ready in 2017, offer the comforts and warmth of an expansive home, complemented by the bespoke services of the world’s finest hotels, according to Damac. The course is designed by Gil Hanse, designer of the 2016 Olympic Games golf course in Rio de Janeiro and one of the most sought-after course architects.